The way people watch TV is changing rapidly. Many streaming services are popping up to give users an alternative to cable TV providers. DIRECTV NOW is one such cable TV alternative from AT&T. We put together a DIRECTV NOW review to explain more about this popular streaming service. DIRECTV NOW is fully launched and available nationwide. It’s continually evolving and expanding as the service grows, with new channels being added regularly. Streaming Observer has had an opportunity to create this DIRECTV NOW review to help you in your purchase decision. Keep reading our DIRECTV NOW review to learn everything you need to know about the service, from the DIRECTV NOW channel lineup to the cost, devices, and features. And, as always, know that you can start now with a FREE 7-day trial of DIRECTV NOW. DIRECTV NOW is a streaming television service designed to provide an alternative to cable TV. The DIRECTV NOW cost starts at $50 per month for their basic package, including over 40 channels + HBO. Compared to similar services, DIRECTV NOW pricing is a bit higher than average, but still quite reasonable – and compared to cable, it’s a huge bargain. 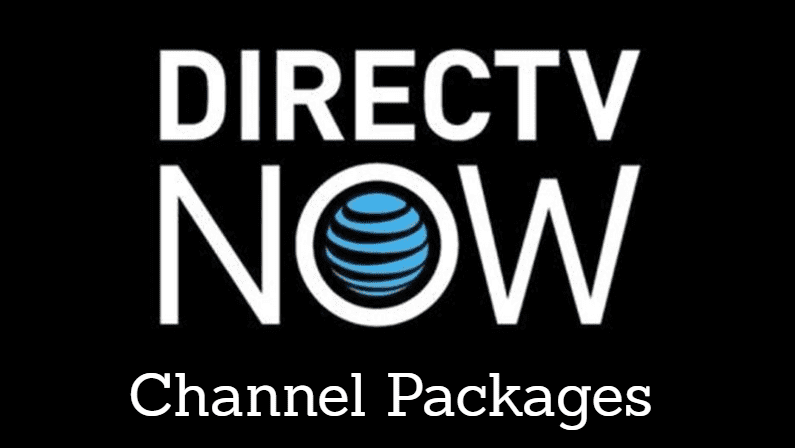 There are various other DIRECTV NOW packages available, ranging up to 125+ channels! It’s contract free – which means you can cancel at any time. Of all the best streaming services, DIRECTV NOW offers one of the most extensive channel selections. With a whopping 125+ channels in total, there aren’t many networks that are not covered by this service. With that said, the bigger packages from DIRECTV NOW are very expensive, so they may not present the best value for many people. It’s easy to sign up for, and easy to use. You can easily be watching live TV within 5 minutes of signing up! 3-day catchup – Many of the channels, but unfortunately not all of them, will have a 72-hour window to catch up on shows you’ve missed. This way you can go back and watch new shows within 3 days of airing. No contract – You will never be locked in to more than one month at a time, and it’s very easy to cancel DIRECTV NOW if you decide to do so. 2 concurrent streams – You can watch up to two concurrent streams. That means that you can watch ESPN in the bedroom while your kids watch cartoons in the living room – at the same time. If you have more than two people vying for TV time, you can add a third stream for $5/mo. Cloud DVR – You can now record live TV with DIRECTV NOW, thanks to the recently added cloud DVR feature. The nice thing is this DVR is built into the service itself – you don’t need a separate physical device. You can record most channels (but not all), and store up to 20 hours at a time. Recordings expire after 30 days. Easy transition from cable – DIRECTV NOW provides an easy transition from cable or satellite. The DIRECTV NOW channels lineup is present in a grid format, much like traditional television. So, for new cord-cutters, the switch should be an easy one. No DIRECTV NOW gift card currently – For those looking to gift DIRECTV NOW to a friend or family member, unfortunately, there are not currently any DIRECTV NOW gift cards. What is the DIRECTV NOW Channels Lineup? Below, find information on the DIRECTV NOW channel lineup and the different packages available. Keep in mind that there are several different DIRECTV NOW plans, which are aimed at different types of subscribers. We are currently looking at several different channel packages, making the DIRECTV NOW price range from $50 to $135 a month. As you can tell, that’s quite a range! Update April 2019: DIRECTV NOW has majorly changed up their channel packages. They now have two new plans, “Plus” and “Max”, priced at $50 and $70/month, respectively. The old channel plans have been renamed and the prices have increased drastically. Many DIRECTV NOW reviews will now be out of date, as this is a major shift! Be sure to read carefully as a lot has changed. Plus ($50/month, 40+ channels) – Channels list includes HBO, local channels, HBO Family, HBO Latino, ABC, Accuweather, Audience, BET, Boomerang, Bravo, Cartoon Network, CBS, Cheddar, CNBC, CNBC World, CNN, Comedy Central, The CW, Disney Channel, Disney Junior, Disney XD, E!, ESPN, ESPN2, FOX, FOX Business, FOX News, FS1, Freeform, FX, FXM, FXX, Hallmark Channel, HLN, MSNBC, MTV, My Network TV, National Geographic, Nat Geo Wild, NBC, NBCSN, Nickelodeon, NickJr, Ovation, Oxygen, Revolt, SyFy, TBS, TCM, Telemundo, TNT, TruTV, Universal Kids, USA, and VH1. Max ($70/month, 50+ channels) – Channels list includes HBO, Cinemax, local channels, HBO Family, HBO Latino, ABC, Accuweather, Audience, BET, Boomerang, Bravo, BTN, Cartoon Network, CBS, CBS Sports Network, Cheddar, CMT, CNBC, CNBC World, CNN, Comedy Central, The CW, Disney Channel, Disney Junior, Disney XD, E!, ESPN, ESPN2, ESPNEWS, ESPNU, FOX, FOX Business, FOX News, FS1, FS2, Freeform, FX, FXM, FXX, Golf, Hallmark Channel, HLN, Longhorn Network, MSG, MSG+, MSNBC, MTV, My Network TV, National Geographic, Nat Geo Wild, NBC, NBCSN, Nickelodeon, NickJr, Olympic Channel, Ovation, Oxygen, Paramount Network, Revolt, SEC Network, SyFy, TBS, TCM, Telemundo, TNT, TruTV, TV Land, Universal Kids, USA, VH1 and YES Network. Entertainment ($93/month, 65+ channels)- Channels list includes DIRECTV NOW local channels in select markets as well as A&E, ABC (select markets), AccuWeather, AMC, Animal Planet, Audience, AXS TV, Baby First, BBC America, BET, Bloomberg TV, Bravo, C-SPAN, C-SPAN 2, Cartoon Network/Adult Swim, CBS (select markets) CMT, CNBC, CNN, Comedy Central, The CW (select markets), Discovery Channel, Disney Channel, Disney Junior, Disney XD, E!, ESPN, ESPN 2, Food Network, Fox (select areas), Fox Business, Fox News, Fox Sports 1, Freeform, FX, FXX, Galavision, Hallmark, Hallmark Movies & Mysteries, HGTV, History, HLN, Investigation Discovery, Lifetime, MSNBC, MTV, MTV2, National Geographic, NBC (select areas), NBCSN, Nick Jr., Nickelodeon, One America News, Ovation, Paramount, Reelz Channel, RFD TV, Syfy, TBS, TCM, Teen Nick, Telemundo, TLC, TNT, truTV, TV Land, Univision, USA Network, Velocity HD, VH1, Viceland, and WE tv. Choice ($110/month, 85+ channels)- includes all channels in the Live a Little package (except Ovation and Hallmark Movies & Mysteries, which are removed) plus regional sports networks in select markets, plus you getAWE, BTN, CNBC World, Comedy.TV, Cooking Channel, ESPNEWS, ESPNU, Fuse, Fusion, GSN, IFC, JusticeCentral, MLB Network, NFL Network, Nicktoons, OWN, POP, Science, SEC Network, Sundance TV, Tennis Channel, Travel Channel, TV ONE, UniMas, UP and The Weather Channel. Xtra ($124/month; 105+ channels)- includes every channel listed in the lower packages along with American Heroes, Aspire, BBC World News, BET HER, CBS Sports Network, Destination America, Discovery Family, Discovery Life, DIY, FM, Fox Sports 2, FXM, FYI, Golf Channel, Lifetime Movie Network, LOGO, MTV Classic, Nat Geo Wild, NBA TV, NHL Network, Olympic Channel, Oxygen, Revolt, Sportsman Channel, TVG, Universal Kids, and NBC Universo. Ultimate ($135/month, 125+ channels)-Contains all channels in lower packages as well as Boomerang, El Rey, Starz Encore (8 channels), and Univision Deportes. Add HBO to any package for $15 per month, or Cinemax, Starz or Showtime for $11 a month each. As you can see, the DIRECTV NOW channel lineup is very customizable depending on your needs and wants. Whether you want to watch NFL online or live stream The Walking Dead, there is a good mix of DIRECTV NOW plans, with one that should fit your needs exactly. Unfortunately, the prices are way higher than when the service started, and are higher than most competitors. DIRECTV NOW no longer offers the value it once did. Also, note that ALL of the DIRECTV NOW packages offer a free 7-day trial, so you can test any of them out for free. AND you can cancel at any time because it’s a non-contract service! Can I get DIRECTV NOW Local Channels? Cord cutters who are aware of the current systems on the market definitely have questions about how to stream local channels. Most of DIRECTV NOW channels can be streamed nationwide, there are just a few on the DIRECTV NOW channels lineup that are only available in limited viewing areas. FOX – FOX is available live in select markets, now in most areas. NBC – NBC is available in select markets, now in most areas. ABC – ABC is available in select markets, now in most areas. ABC next-day, on-demand streaming is available nationwide. CBS – CBS is set to be available in select markets, now in most areas. The CW – CW is set to be available in select markets, mostly in bigger cities. The DIRECTV NOW channels list doesn’t provide complete details about which cities where these networks are available, but you can always start out by checking out the network availability with DIRECTV NOW. The pricing for the basic package with DIRECTV NOW starts at $50 per month, and ranges all the way up to $135 per month for the larger packages. At $50/mo, the base package price is in line with – if not a bit higher – than most competitors like Hulu Live TV and YouTube TV. On the larger packages, the price is significantly higher. You can also add premium channels for $11-$15 per month each. You can find more info about the DIRECTV NOW price in our guide. You can start with a FREE 7-day trial of DIRECTV NOW to see for yourself. In short, DIRECTV NOW works on all of the most popular devices. We expect the service will continually expand to new devices as it evolves. Is There a DIRECTV NOW Free Trial? Yes, there is! Now that you’ve read our complete DIRECTV NOW review, all that is left is to try it out for a FREE 7-day trial today! And remember, since DIRECTV NOW is contract-free, you can take advantage of the DIRECTV NOW free trial and be free to cancel DIRECTV NOW at any time – no commitment required. Overall, DIRECTV NOW is a good alternative to cable. However, recent changes have made it quite pricey, so you’ll want to closely consider whether it makes sense for you. Most third-party DIRECTV NOW reviews rate the service favorably. And it’s certainly a popular service, with over 1.5 million subscribers. From a channel selection standpoint, DIRECTV NOW has a lot to offer – IF you’re willing to pay a lot for it. 125+ channels is pretty impressive, if you can stomach the pricetag. Price-wise, DIRECTV NOW is certainly not the cheapest. The Plus and Max packages offer decent value, particularly if you want HBO. But the other 4 plans have very high prices that likely aren’t worth it for most people. In the end, we certainly think that DIRECTV NOW is worth a try. Click here to try it FREE for 7 days! What are you doing to provide your customers with CBS ? Why hasn’t this issue been resolved? It is a big disruption for local news and school information! Just checked my smart Vizio m601d for an App to stream Directv Now. None were found… Where are these found? @karen Wolter CBS will not be easily added and that is CBS fault. Viacom, the company that owns CBS, sells a streaming plan for CBS for $5.99/month for the channel and on-demand content from CBS. They want to make bigger money from the consumer and do not want to participate in streaming offerings from DIRECTV NOW, YOUTUBE, SLING or others. We tried Direct TV Now BUT canceled the service before the 7 days were up. Why? The Guide is horrible. It moves VERY choppy, not smooth at all like Sling and I hated seeing a show playing behind the guide on Direct TV Now. Direct TV Now has the channels we want but lack of a DVR is a deal breaker because my husband can’t see his shows live, due to work. I think Sling has a GREAT Price, DVR AND Sling allows you to adjust your internet usage, Sling Has a GREAT 7 day guide. Direct TV Now doesn’t do any of that. But Sling lacks 3 channels we want. 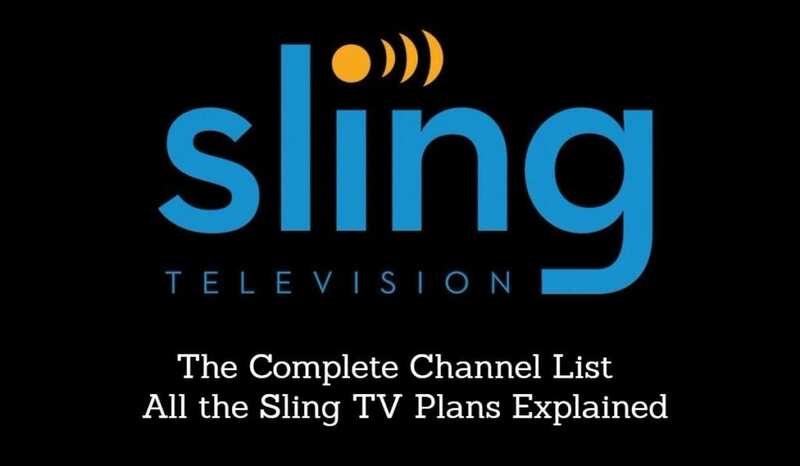 IF Sling added those 3 channels we wouldn’t consider moving to another service but I doubt they will since Sling has been around a long time and hasn’t added them yet. Those channels are TLC, ID and Animal Planet. Bottom line: IF Direct TV Now improved the guide, offered a DVR, allowed you to adjust your internet usage without raising their rate we would switch to DTN and so would numerous people I’ve spoken to. Thanks for the comment. Curious which device you use to stream on? How do I talk to someone at Directv Now? How do I leave a message to contact me?